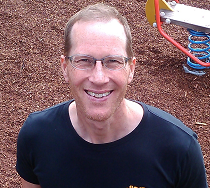 Simon van Rysewyk has a background in qualitative research and medical writing. He received his PhD from the University of Tasmania in 2013 in Philosophy and Neuroscience. Simon ensures that BIA communications reflect the core information clearinghouse and referral functions of BIA. Simon researches interactions between brain activity and lived experience of pain. He is now investigating relationships between pain and acquired brain injury.